Well, it's St. George's Day here in merry England and it's also Shakespeare's 451st birthday - huzzah! I wonder if there's anyone in the world called 'George Shakespeare' who was born on this day...? Before you become convinced that this welcome, yet uncharacteristically sunny weather has fried my brain, time to move on to the actual purpose of this little gem of an update. 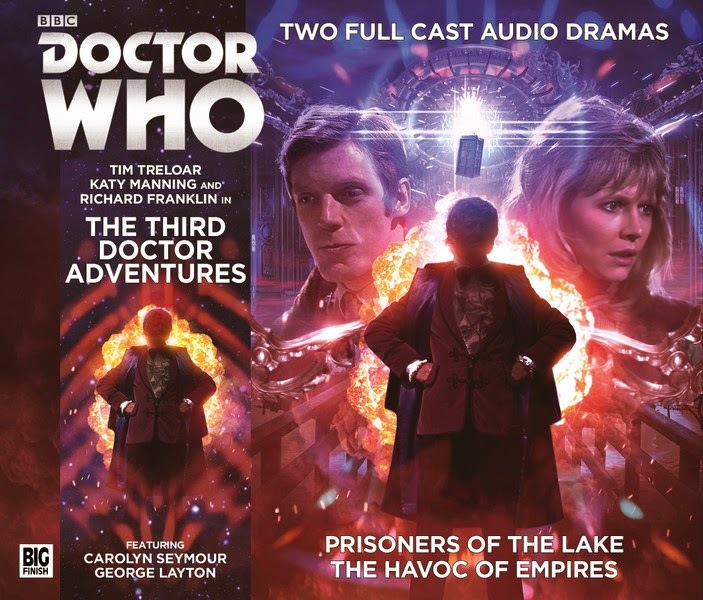 Big Finish have announced the September release of the Third Doctor (originally performed on television by Jon Pertwee) 'double bill' of Prisoners of The Lake by Justin Richards and The Havoc of Empires by Andy Lane. Third Doctor adventures are a new direction for Big Finish and Tim Treloar has stepped up to the plate to portray the character in an evocation of Jon Pertwee's original style. There's much more to come on this box set nearer the time of release; in the meantime, here's some cover artwork from Tom Webster and details of the story I was involved in, Prisoners of The Lake.